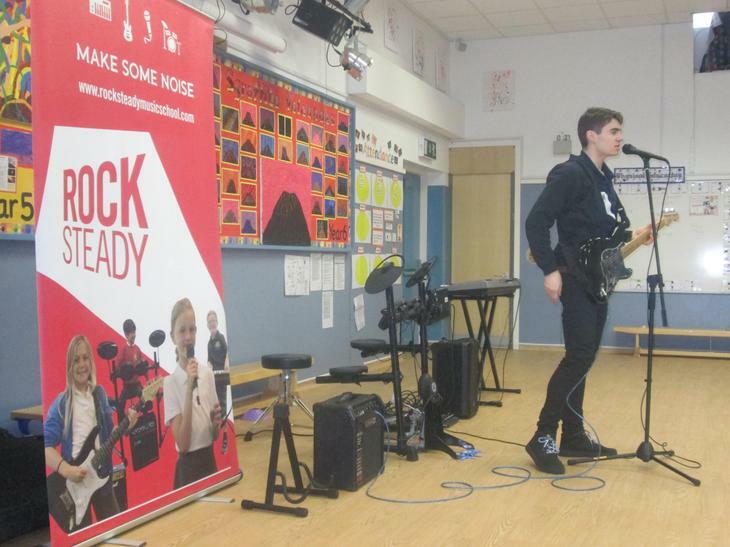 On Tuesday we were treated to an assembly by the Rock Steady Music School. Michael demonstrated how to play the keyboard, electric drums and guitar. We all had a lovely time recognising tunes and then singing along with him. Rock Steady Music School are a peripatetic music service, teaching children to learn an instrument by playing in their own rock band. They are coming back to school on 13th February to provide a half hour workshop to each class and we will see then if there is enough interest for weekly lessons in school. More information to follow... Have a look at the Music section under the 'Our Curriculum' part of our website to see some extracts from the assembly.